I have had a few friends ask me to write about appropriate attire for attending a work Christmas party. Of course, depending on your line of work, the venue and time of day, the outfit will certainly differ. Here are some varying dressiness ideas for the work holiday party you'll be attending. Cheers! A tartan dress is so fun for the season! Mine (below) is a few years old from Lands End Canvas, but here is an equally adorable alternative from Modcloth. Pair it with a simple red cardigan, and you are ready to meet your coworkers for drinks at the local tavern! I am always such a fan of the J. Crew Factory multi-strand pearl necklace, too. I think it completes the look! Final bonus piece to this look: red or green hunters! How cute would that be? (Keep the Hunter Boots in mind for the other casual party looks, too). Another idea for a lower-key work party would be this J. Crew Factory casual flannel shirt dress. Pair it with your Frye boots and a cozy pair of boot socks, and your holiday party look will be comfortable, fashionable and still work appropriate. Last year, I went with a festive blazer and skinny black jeans to my own English department fiesta. This keeps it dressy for the work day, but it transitions your outfit nicely into "after-work" mode. 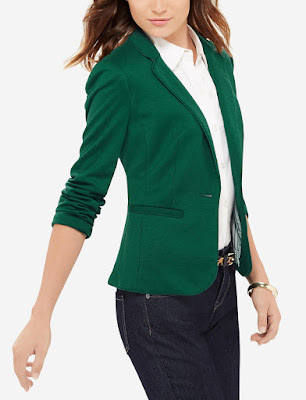 This Madison blazer from The Limited (below) is a great price point and comes in both green and red! Depending on your line of work, pair it with either a dark wash skinny jean or a black pant. 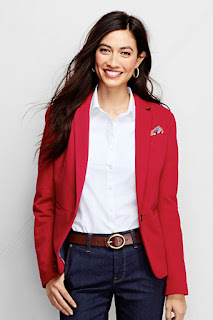 I also love this Lands' End pique blazer in red (below). For last year's English department Christmas party, I went with a plain white tank top under my blazer. Depending on how cold it is, you might want to layer with a plaid popover or collared shirt. I absolutely love this dress (above) from the J. Crew Factory store. I got the mine last year, but here is a great alternative with the same fun sparkle and stripes. Another gorgeous option for a fancier holiday party would be this J. Crew lace cap-sleeved LBD. It also comes in white, if you are daring (and tan enough! haha!) to rock the winter whites. In northern Illinois, I tend to opt for black over white during the winter months. But, if you are reading this somewhere sunny and warm (Kelly S! ), you could totally wear this in white! Another fabulous option is this red lace dress from J. Crew Factory. I am heavy on the J. Crew and J. Crew Factory this post because they are doing such a fantastic job in the dress department for the season! 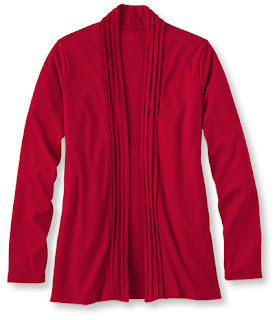 Dress this red lace number down with a camel cardigan and belt on top. Dress it up with fancy pumps and black tights! A last option for the moderately-fancy work holiday party is this black lace scalloped dress (below) from Loft. I cannot get over how darling it is! Your options are so endless with this dress. You could pair it with a fancy shoe (the BCBGeneration pumps, perhaps!) or a solid black patent pump. It's a beautiful dress, and the 3/4 sleeves make it practical and warm for our winter months. 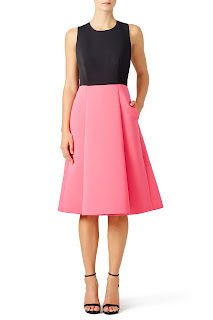 The Kate Spade Mindy Dress is so much fun! 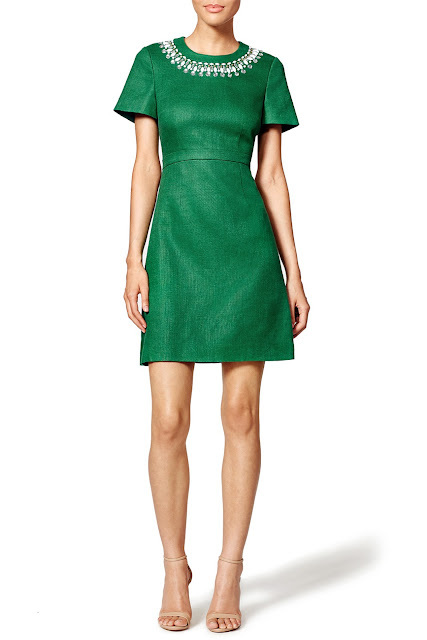 It's modest yet glam; I am loving the green for the season! 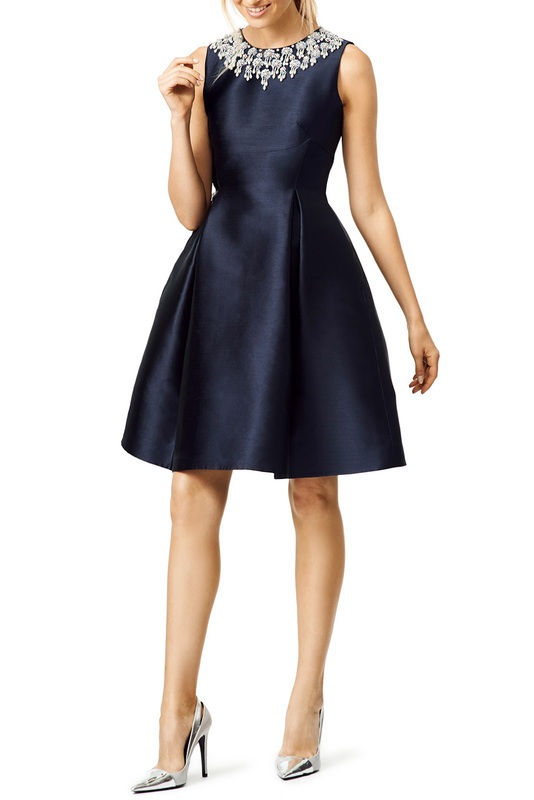 This navy Perfect Era Dress by Kate Spade is another spectacular dress! You will wow your coworkers with your class and beauty in this stunner! Both the green and navy Kate Spade dresses have the elegance and modesty necessary for a work function, but the added glitz around the neckline make these two so ideal for the holiday season! This dress (below) has the most adorable back I have ever seen! 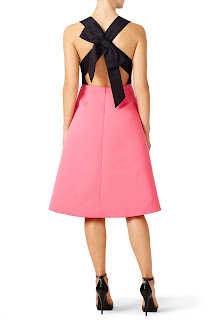 I am a sucker for all things bow, and this dress takes the cake for the best bow (and back). The Colorblock Bowback dress by Kate Spade, also from Rent the Runway, just screams holiday gala! The front of this colorblock dress is very modest. 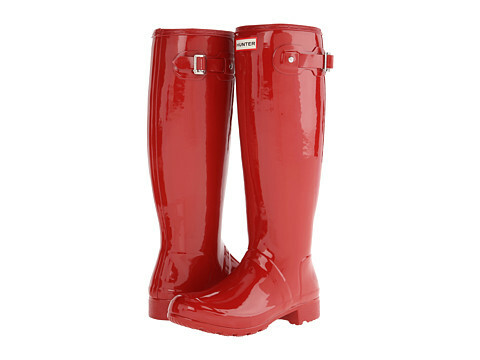 Pair it with black tights and black pumps, and you will be the best dressed Belle of the ball! Ann Taylor came out with this darling gold sequined sheath (below). The beauty of this piece is that you could easily wear it again for New Year's Eve festivities or maybe even a glitter themed bachelorette party! I am ALL about re-purposing dresses! 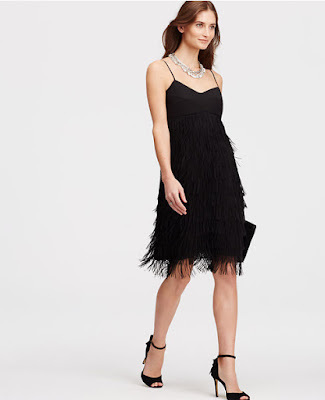 Finally, this Ann Taylor black fringe number is HOT! Disclaimer: I do not think it is too hot to wear around your boss (particularly with a classy black cardigan on top). Right now, Ann Taylor has 40% off! Can you imagine how great you'd look flitting around from coworker to coworker in this fringed beauty? Fringe is VERY on trend right now! The length is very appropriate for a work function, too! Wherever your holiday work party takes you, remember what Oscar Wilde once said: you can never be overdressed or over educated. One of my favorite pics from last year's English department Christmas party! Travelling for the Holiday(s): What to Pack?